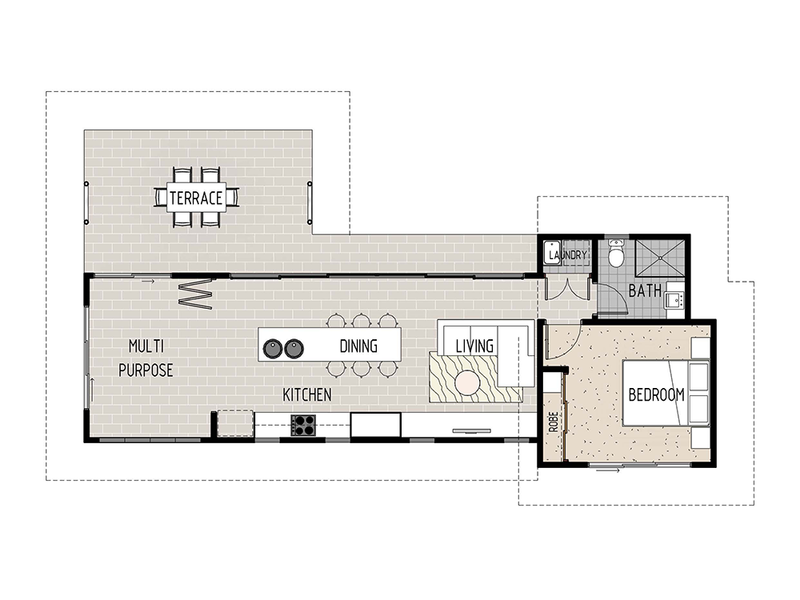 This one bedroom granny flat design features a large open plan kitchen, living, dining and multi purpose room. The kitchen is a galley style design with a large island bench which doubles as a 6 person dining table. The multi-purpose room can be shut off from the rest of the home using the bi-fold door or left open to enhance the open plan design. The single bedroom has a built in wardrobe and the bathroom and laundry can be found just outside the bedroom. A good sized outside entertainment area can be accessed via the multi-purpose room. 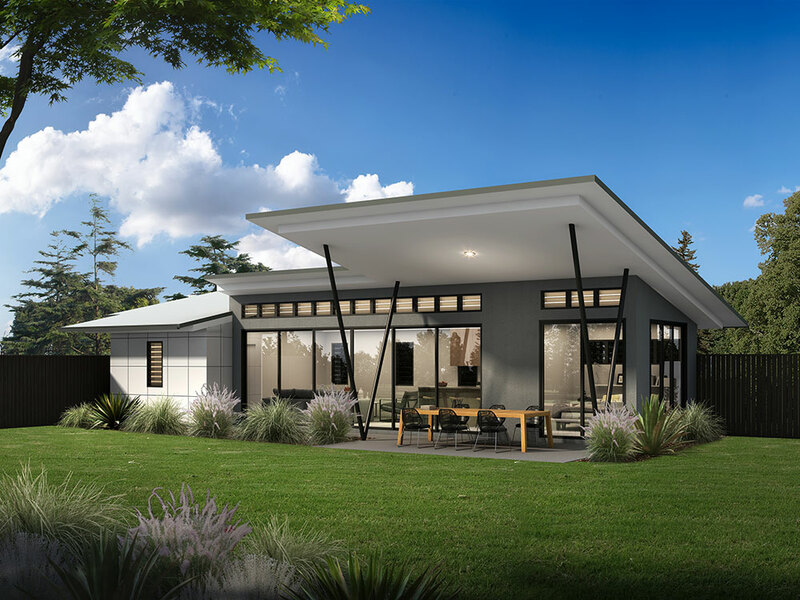 Exciting Granny Flat options for every location and client requirement. Futuristic designs with high tech features through to budget packages that still include energy efficient features with great design.